This development is just about to come on the market! The Creek is a highly anticipated development by award winning developers Concert. Located on the southeast corner of False Creek, The Creek sits in one of the most desired areas of Vancouver. Situated right at the waterfront, this development will offer water, city and mountain views. 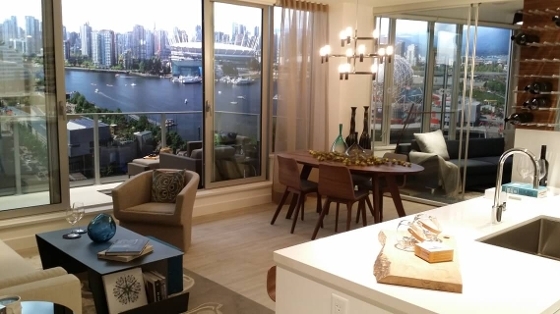 The Creek offers you the opportunity to be within easy access to the various neighbourhoods of Vancouver. A quick bus ride or an easy walk can have you in stylish Yaletown, modern Chinatown or trending Main St. The Creek will consist of 5 residential buildings containing around 750 homes. The first of these buildings will be Voda. 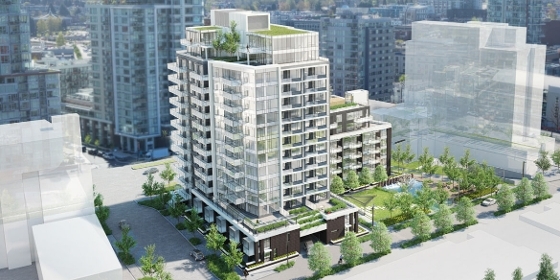 A 16-storey tower featuring generous balconies and stylish, West Coast inspired interiors. Voda is your first opportunity to own at The Creek. Wake up to the sight of the sunlight reflecting off the water and step out your door to walk along Vancouvers' beautiful seawall. Voda will offer a courtyard and rooftop gardens to grow your own vegetables as well as plenty of parking for both cars and bikes. Voda offers elegance, comfort and quality. Appliances are integrated for a clutter free look. The kitchens are the focal point, with a timeless white design made modern with additional rich wood accents. Please let me know which floor plans are of interest asap and I can get you exact pricing.